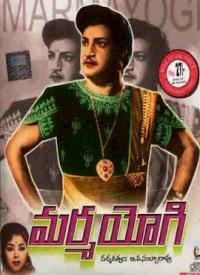 Marmayogi The King of Mahendragiri Rajyam (Gummadi) marries his official dancer Chenchela but she usurps his power and casts him adrift in a river. After that she solely rules the kingdom and the two princes of the kingdom Bhaskar (Kantha Rao) and Prabhakar (N.T.Rama Rao) are denied their birthright. The deposed army officer of Mahendragiri Purushottam Verma the country in the guise of a sage. Marmayogi is the story about how the two pronces leads a popular rebellion against the usurper-queen and restores the kingdom. Subscribe to this channel and stay tuned:.